Used in aromatherapy, Rosemary Essential Oil improves alertness, eliminates negative moods, and increases the retention of information by enhancing concentration. The scent of Rosemary Essential Oil stimulates the appetite and is also known to reduce the level of harmful stress hormones that are released during tense experiences. Inhaling Rosemary Oil boosts the immune system by stimulating internal anti-oxidant activity, which in turn fights ailments caused by free radicals. Use this blend to clear the respiratory tract and relieve throat and nasal congestion. Add all essential oils together in a 15 ml amber glass vial/bottle that has an orifice reducer. Use this blend to stay alert and focused, especially when studying. In a 120 ml (4 oz.) amber glass spray bottle, pour in the Witch Hazel. Add all the essential oils. Gently swirl the bottle to thoroughly blend together all ingredients. Replace the spray bottle cap and shake vigorously. To use, spritz the room spray into the air to enhance memory and concentration. Use this blend to stimulate physical activity and prevent the sluggish feeling of fatigue. Add all oils to a 2 ml glass bottle. Roll bottle between hands to thoroughly blend oils. Used in a massage, Rosemary Essential Oil’s detoxifying properties can facilitate healthy digestion, relieve flatulence, bloating, cramps, and constipation. Through massage, this oil stimulates circulation, which allows the body to better absorb nutrients from food. Use this blend to soothe muscular aches and joint pains. Combine all ingredients in a dark bottle. Cap the bottle and gently shake it to thoroughly mix the ingredients. Massage 1 tsp of the blend into the affected area for at least 30 minutes to ensure complete absorption into the skin. Use this blend to stimulate circulation and smooth the appearance of unsightly dimpled skin. Combine all ingredients inside a 20 ml (0.70 fl. oz.) amber glass bottle. Cap the bottle and shake it well to thoroughly blend all oils. Use this blend to reduce the appearance of blemishes and unwanted marks. In a 1-cup (236 mL / 8 fl. oz.) glass jar, mix together both oils. Pour the required amount of the blend onto the palms of hands and massage it directly onto the stretch marks. Continue massaging the skin gently with the oil for 30 minutes to ensure complete absorption into the skin. Use this blend to boost circulation and reduce the appearance of enlarged, bumpy veins. In a double boiler over medium-low heat, melt together the Shea Butter and Coconut Oil. Add in all the remaining oils (Jojoba Oil, Vitamin E-Liquid, and essential oils). For 1-2 hours, refrigerate the blend until it appears to be an off-white semi-solid. With a hand mixer, whip this blend until it is a soft and fluffy body butter (approximately 10 minutes). To use, massage the whipped body butter upward in the direction of the heart to boost circulation. (For example, if starting at the feet, massage up toward the knee. If starting at the wrist, massage up toward the shoulder). Store the finished product in a glass jar at room temperature. Avoid leaving it in heat or humidity to prevent melting. If exposing the butter to heat is inevitable, store it in the refrigerator. This body butter should remain fresh for 6 months. TIP: It is recommended that the use of this body butter be avoided just before going to sleep, as the stimulating essential oils may lead to interrupted sleep. Diluted with a carrier oil and used in a bath, Rosemary Essential Oil’s detoxifying and anesthetic properties can boost immunity by recharging the body’s detoxification system. It stimulates the body to rapidly eliminate waste and soothes digestive ailments. Its analgesic and anti-inflammatory properties make it an ideal essential oil for relieving muscle aches and pains. Use this blend to beat the blues and encourage feelings of contentment and serenity. Combine all the oils in a 15 ml (0.50 fl. oz.) dark glass or PET plastic bottle. Shake the closed bottle to thoroughly blend all oils. Pour the blend into warm bath water. Add all ingredients to a 10 ml (0.33 fl. oz.) dark glass or PET plastic bottle. Cap the bottle and shake vigorously to thoroughly blend together all oils. Pour into a warm bath. Stir ingredients thoroughly into bath water. Soak in the bath and enjoy relieve from aches and pains. Store remaining oil in a cool, dark place outside of the bathroom, which can become humid. In cosmetic products for hair care, Rosemary Essential Oil’s tonic properties stimulate hair follicles to lengthen and strengthen hair while slowing the graying of hair, preventing hair loss, and moisturizing dry scalp to relieve dandruff. The anti-microbial, antiseptic, astringent, anti-oxidant, and tonic properties of this oil make it a beneficial additive in skin care products that are meant to soothe or even treat dry or oily skin, eczema, inflammation, and acne. Effective for all skin types, this rejuvenating oil can be added to soaps, face washes, face masks, toners, and creams to achieve firm yet hydrated skin that appears to have a healthy glow that is free of unwanted marks. Use this blend to soothe dry, irritated, inflamed skin. In a bowl, add the Aloe Vera Gel. Using a spoon, mix in the Rosemary Essential Oil. To use, gently apply this gel by spreading a thin layer of it over the face with clean fingers. Leave this gel blend on the face for 10-15 minutes before rinsing it off. For best results, use this mix daily. Use this blend to reduce the look and feel of an uneven and irritated complexion. Inside a 5 ml glass bottle, mix together the Grapeseed Oil and the Rosemary Essential Oil. Using either fingers or a suitable brush, spread the oil over affected areas of skin. This blend is gentle enough to be used daily. Use this blend to condition hair and to boost its strength and resilience. Remove the pan from the heat and, using a spoon, mix in the Rosemary Essential Oil. In a 60 ml (2 fl. oz.) dark glass or PET plastic bottle, mix both oils together. Cap the bottle and shake it well to thoroughly blend all ingredients. To use, apply the blend to affected areas of skin. This blend is gentle enough to be used twice or thrice daily. Use this blend to naturally stimulate healthy hair growth. In a 50 ml (1.7 fl. oz.) dark glass or PET plastic bottle, mix together all the oils. Cap the bottle and gently shake it to mix the ingredients. To use, apply this serum to the hair and scalp. For even distribution, brush or comb the oil through the hair. This serum can be used daily or every two days after showering to promote hair growth. Use this blend to achieve lustrous, hydrated hair. In a mixing bowl, add all the ingredients. Whisk the ingredients together until a smooth consistency is achieved. To use, apply this blend to the hair and leave on for 30-60 minutes. Rinse the mask off with warm water and allow hair to air dry. Alternatively, blow dry hair using a cool setting. This mask can be made and used once a week to enhance the growth and quality of hair. Use this blend to stimulate the growth of shiny, healthy hair with restored natural color. In a bowl of boiling water, steep the Nettle bunches. Allow the water to cool down before straining the Nettle water / removing the bunches. To this Nettle “tea” add the remaining ingredients and combine thoroughly. To use, apply this shampoo blend to wet hair and lather. Leave it in the hair for 2-5 minutes to ensure absorption. Use this blend for the growth of thicker eyebrows for a healthy, sophisticated, youthful appearance. To a mascara tube of personal preference, add each oil. To use, apply mascara to brows by sweeping upward from the base of the hairs in light strokes. These oils will give the mascara a pleasant scent and extend the shelf life of the mascara (now “eyebrow serum”) by reducing the number of bacteria that accumulates inside the tube. It is highly recommended that organic oils be used in this recipe, as the finished product will be applied near a sensitive area. 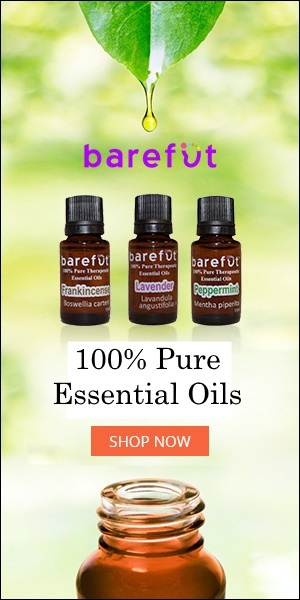 It is critical that essential oils of any kind NEVER be used directly IN the eyes, ears, or nose. Use this blend to promote the growth of healthier, denser facial hair without irritating skin. In a 30 ml dark glass or PET plastic bottle, mix in the carrier oils. Cap the bottle and gently swirl it to thoroughly mix the blend. To use, pour small amounts of the oil onto the palms of hands. Rub palms together to evenly distribute oil over hands. Smooth oil onto beard. This growth formula can be applied daily. Use this blend to restore the color to naturally dark hair. In a squeeze bottle, mix together all ingredients. Shampoo and condition hair before applying the hair rinse. Squeeze the rinse into hair and leave it in for 1 minute. Thoroughly rinse hair out with cold water. Avoid using this recipe on blonde or light-colored hair, as it may darken hair. Use this blend to enhance circulation in the face for a glowing, rejuvenated complexion. In a dark, airtight glass container, mix together all the ingredients. Cap the container and store it in a warm, dark place for 2-3 weeks. In a double boiler on low heat, warm up the container. To use: First, wash the face and hands then apply the blend to the face, avoiding the eye area. Leave the mask on for 15-20 minutes. The stickiness of the honey will stimulate circulation. Rinse the mask off thoroughly and apply a moisturizer of personal preference. Frankincense Essential Oil: This calming oil helps relieve stress, nausea, and tension. Its anti-inflammatory property effectively facilitates the speedy healing of wounds and works as an astringent and antiseptic on the skin. Frankincense Essential Oil is beneficial for aiding in digestion, relieving congestion, and eliminating bodily toxins. Pine Essential Oil: This oil is known to boost immunity by clearing mucus and phlegm from nasal passages and protecting the body and the environment from harmful bacteria, fungi, and viruses. When used topically, Pine Essential Oil reduces redness and inflammation while soothing skin that is prone to eczema and psoriasis. Its antioxidant properties balance skin, rejuvenating the complexion to leave it looking and feeling healthy. Grapefruit Essential Oil: This oil is reputed to stimulate both physically and mentally, thus boosting immunity, energy levels, and concentration. Its antioxidant properties make Grapefruit Essential Oil beneficial for protecting the body against toxins and against the physical symptoms of aging. Lemon Essential Oil: This stimulating oil is known to detoxify, disinfect, and induce sleep. Its ability to relieve stress contributes to its ability to boost immunity, which prevents fevers and infections. Lemon Essential Oil is an anti-fungal oil that is known to rejuvenate skin by soothing irritations, increasing skin luster, and reducing excessive oil. Lavender Essential Oil: This calming oil is a popular choice for those looking to relieve both emotional and physical stress ranging from sadness to headaches. Its soothing scent diminishes feelings of restlessness and exhaustion. Lavender Essential Oil improves sleep by reducing feelings of anxiety and emotional distress as well as by promoting a sense of inner peace by diminishing irritability. Witch Hazel: Although it is best known for its skin cleansing and toning abilities, the uplifting scent of this liquid is also known to boost moods. Lime Essential Oil: This invigorating and refreshing oil is known to boost immunity by relieving stress, fatigue, and anxiety. Lime Essential Oil effectively relieves and soothes colds, sore throat and chest congestion. Nutmeg Essential Oil: This sedative and anti-inflammatory oil are reputed to relieve pain, stress, and discomfort associated with coughs, joint pain, and indigestion. Nutmeg Essential Oil can also be used to boost circulation. Benzoin Resinoid: This uplifting and stimulating oil is known to enhance circulation and has a positive effect on negative moods. It is beneficial for relieving stress, tension, anxiety, and inflammation. Benzoin Resinoid protects wounds from becoming infected and simultaneously tones skin and muscles. Fennel Essential Oil: This relaxing oil is known to speed up the healing of wounds and to tone the skin. Fennel Essential Oil is reputed to reduce the appearance of aging by moisturizing skin to prevent the early onset of wrinkles. Coconut Carrier Oil: This moisturizing and conditioning oil helps regrow and repair dry, damaged hair and skin, thus promoting the health of the scalp and the skin. While relieving the discomforts associated with lice and dandruff, Coconut Oil strengthens and softens hair and skin to make them silky and lustrous. By preventing breakage, it slows the loss of hair and protects both skin and hair from environmental stressors. Basil Essential Oil: This antibacterial and anti-fungal oil is known to enhance the look and feel of hair and skin by eliminating excess oil and buildup while adding shine. It soothes itching, boosts circulation, and disinfects. Geranium Essential Oil: The sweet, floral scent of this uplifting oil offers relaxation to the body and mind. It is known to improve mental function and to boost the moods of those who suffer from anger, anxiety, and depression. Shea Butter: This nourishing butter is full of vitamins and fatty acids, making it an excellent moisturizer for skin. While moisturizing and repairing skin, it protects natural oils and boosts collagen. Jojoba Carrier Oil: This carrier oil is actually a liquid wax that resembles sebum, which is produced by human skin glands and which acts as a conditioning agent for skin. It is best known for preventing skin irritations and for its ability to balance skin’s oil production by removing excess oil. It locks in skin’s moisture and protects it from harsh environmental elements. Bergamot Essential Oil: This energizing oil is known to boost circulation and to reduce nervous tension, stress, and anxiety, which in turn replaces negative mental states with feelings of joy, refreshment, and vigor. The relief of heavy emotional stressors such as sadness may lead to reduced blood pressure, enhanced relaxation, and better regulation of the sleep hormones serotonin and dopamine, which may lead to better sleep. Rosewood Essential Oil: The mild, sweet, spicy and floral scent of this uplifting oil is known to reduce not only negative moods and stress but also nausea, coughing, and acne. Rosewood Oil exhibits mild pain-relieving properties and stimulates various body systems, enhancing circulation and digestion to name a few functions. Its rejuvenating abilities leave skin looking clear, smooth, youthful and vibrant. Marjoram Essential Oil: This anti-viral oil effectively eliminates harmful bacteria and viruses associated with colds, flu, and other viral illnesses, thus treating infections. The expectorant properties of Marjoram Oil make it effective in clearing congestion. Aloe Vera Gel: This natural protective gel helps to restore the skin’s moisture, thus soothing eczema, dandruff, psoriasis, acne, and wounds. Its anti-oxidant and anti-inflammatory properties make Aloe Vera gel effective in quickly healing burns and minor skin infections. By stimulating the growth of new skin, it improves skin’s firmness and hydration, helping to minimize the appearance of scarring and stretch marks. Clary Sage Essential Oil: The scent of this sedative oil is known to relieve anxiety, nervousness, and stress. Its anti-bacterial properties help inhibit the spread of infection and prevent new infections from forming. The stimulating properties of Clary Sage Essential Oil make it effective for boosting libido. Toning the skin and strengthening muscles and hair, it prevents hair loss, thereby preserving a youthful appearance. Sweet Almond Carrier Oil: Almond carrier oil provides an intense hydration suitable for all skin types. This skin-softening lubricant is almost odorless and is packed with vitamins, minerals, proteins, and essential fatty acids. Skin will look and feel nourished and revitalized. Honey: Full of enzymes and nutrients, Honey adds shine to dull hair without leaving it feeling heavy. As a humectant, it draws in and allows hair to retain moisture, while also strengthening it and promoting healthier growth. Egg: Applying eggs to hair can result in stronger, softer, silkier, more volumized strands. By preventing breakage, eggs promote healthier hair growth and restore hair’s natural shine. By adding moisture, it hydrates and conditions hair to reduce frizz, thereby making hair more manageable. Turmeric Powder: This powdered spice is known for its ability to heal wounds and prevent bacterial infections. With its exfoliating property, it stimulates the growth of new skin while enhancing skin’s natural elasticity and lightening blemishes. Used in hair, Turmeric Powder soothes the scalp and eliminates dandruff, thereby preventing hair loss caused by dryness and fungus. Nettle Leaves: These anti-inflammatory leaves are known to soothe burns and to reduce the appearance of scarring. It reduces dandruff and promotes the growth of shiny, healthy hair while simultaneously restoring hair’s natural color. Apple Cider Vinegar: This strengthening tonic has traditionally been used for hair conditioning benefits. With a pH level that is close to that of human hair, it helps balance the natural pH of sebum. This protects the scalp against bacteria and fungus, which are main causes of dandruff. By clearing the scalp of product build-up, it refreshes and detangles hair, reduces frizz, and stimulates healthier and stronger hair growth to reduce the chance of breakage. Baking Soda: This finely powdered salt is known to help detoxify the body and to soften skin to make it smooth. Baking Soda eliminates the bacteria that contribute to body odor and reduces the pH level to offset the acids present in perspiration. Used in hair, Baking Soda helps reduce oiliness and, by balancing the scalp’s pH level, it maintains the cleanliness and health of the scalp. Vegetable Glycerin: This soothing, moisturizing liquid is a stabilizer and preservative that makes it easier for oils to bind together to create a smooth cream, lotion, or gel. Vegetable Glycerin keeps skin hydrated, balanced, and toned. Its cooling effect helps soothe itching. Due to its non-toxicity, it is safe to use on sensitive skin and children’s skin. Rose Absolute: The calming and uplifting scent of this absolute offers relief from stress and anxiety. With a cooling effect, it soothes dry, itchy, and inflamed skin. The anti-inflammatory property of Rose Absolute helps prevent scarring and reduces the appearance of broken capillaries. Castor Oil: This nourishing oil stimulates circulation to promote the growth of stronger, thicker hair. By moisturizing, smoothing, and softening, it prevents hair from becoming dry and brittle. Grapeseed Oil: This is a light, fast-absorbing oil that boosts blood circulation, promotes the speedy healing of wounds, and minimizes the look of scarring. It is odorless and is not known to stain fabrics.